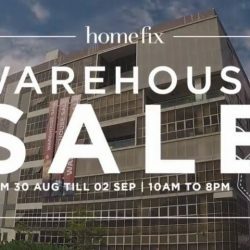 30 Aug - 2 Sep 2018 Home Fix: Warehouse Sale with Up to 70% OFF Nippon, Simplehuman, Vornado, Yale & Many More! DON'T MISS IT! 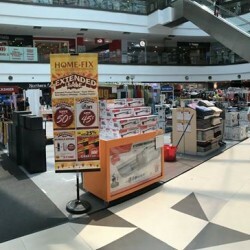 Homefix's warehouse sale is bringing in over 60 brands with promotion up to a whopping 70%! Head down from 30 Aug to 2 Sep 2018 to snag all your favourite brands home! 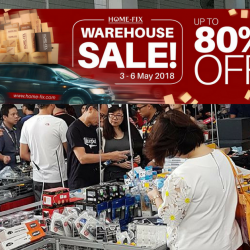 3 - 6 May 2018 Home-Fix: Warehouse Sale with Up to 80% OFF Bosch, Roman, Yale, Simplehuman & More! Following the overwhelming response last year, Home-Fix is bringing the Summer Warehouse Sale back AGAIN! With discounts up to 80% off, it's even BIGGER and BETTER! Valid only for 4 Days from 3rd to 6th May 2018, 10am to 8pm! 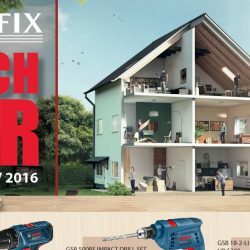 Till 23 Nov 2016 Home-Fix: Bosch Fair – Exclusive Promotions on Home Tools! Bosch Hand Tools, Drills, & more - Exclusive Promotions Waiting For You! Hurry Down and Get Yours Today at Home-Fix! Now till 23rd Nov 2016. See you at the Level 2 Atrium! All your favourite brands in one place at a special purchase with purchase price! Starting today, save up to 50% on high quality home and living solutions at Waterway Point. 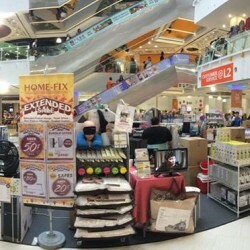 Also receive a $20 Home-Fix Waterway Point Voucher when you spend $20 with us. 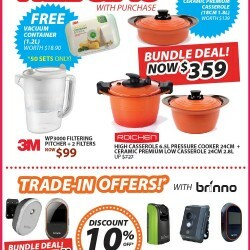 These deals are available only till the 3rd July—See you soon! Pre-GSS Sale: 3 Days only! 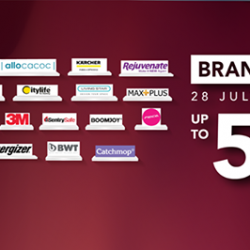 This week, find us at IMM to enjoy savings of up to 65% off! We suggest checking out the Yale Digital Lock; it's a popular choice for keeping your home safe. Best of all, it's going for an unbeatable $300 discount! *Promotion ends on 29th May 2016. 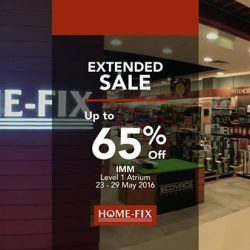 27 - 29 May 2016 Home-Fix: Enjoy savings of up to 80% at Home-Fix’s Pre-Great Singapore Sale! 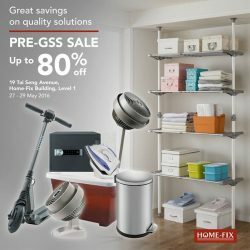 Enjoy savings of up to 80% on the best home-solutions at Home-Fix’s Pre-Great Singapore Sale! Parking: It's on the house! 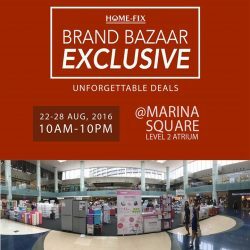 This weekend, come on down to Marina Square to find a tailored solution for your lighting needs! When you do, save *20% on their Integrated Downlight Package, and enjoy the best Smart Lights and Bluetooth technology in the market today. Hope to see you there! Also available on the e-store from 13 to 15 May 2016. 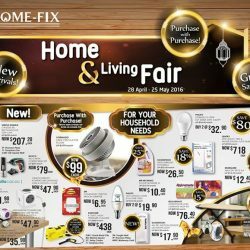 Home & Living Fair is now on at Home-Fix Singapore till 25 May 2016! Enjoy great savings on household items and check out their new arrivals at # B1-24/25! Promotions valid till 25 May and while stocks last. 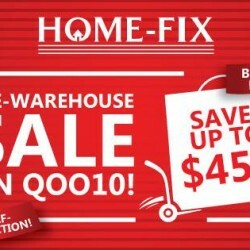 Save up to $450 at Home-Fix's Pre-Warehouse Sale on qoo10! Pick up your purchases from 24-27 March 2016 at their Warehouse Sale. *Self-collection only valid for selected items on qoo10 purchased before 23 March 2016, 5pm. 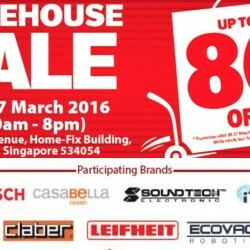 Save Up to 80% at Home-Fix 2016 Warehouse Sale from 24 to 27 March 2016! 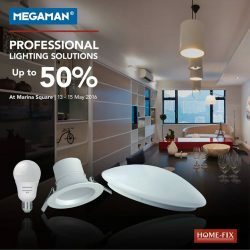 Get products for your home from 3M, Bosch, Casabella, ifan, Megaman, Hurom, Philips, Buster, PowerPac, Taiyo and more! Enjoy Boxing Day and spend time with family or friends, on Christmas Day. (Especially for hardworking Home-Fix staff) So, this is the last day you can still bask in the Christmas festivities with 10% store-wide at all Home-Fix outlets. 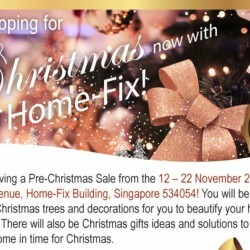 The Home-Fix Pre-Christmas Sale is happening from now till 22 November 2015! They have Christmas trees, decorations, gift ideas, home improvement and lifestyle solutions and many more. You can save up to 70% along with hot buys for the As-It-Is-Items! Check out the onsite pictures and promotions below! Red Hot Buys! Get them while they are hot! They have wagons of AS-IT-IS-ITEMS for you to grab now at 19 Tai Seng Avenue, Home-Fix Building, Singapore 534054! 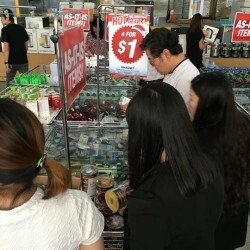 There are items starting from $1! Get them before they're gone! Promotion valid from 12-22 Nov 2015. While stocks last. Till 25 Oct 2015 Home-Fix: Enhancing Safety & Wellness at Home– Energia & OHM @50% OFF. Enjoy their Extended Sale at Bukit Panjang Plaza with great deals enhancing your safety and wellness at home starting today till 25 Oct. 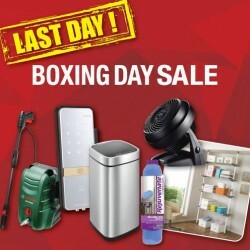 Enjoy up to 50% savings on the following brands Vornado, Living Star, Clean Air, iFan, OHM, SCPL, Soundteoh, Yale, Energia, Microdry, Eko and PowerPac. Enjoy this special great deals for you and get up to 10% Off, over 100 Brands! Plus get free $50 home-fix voucher sale. 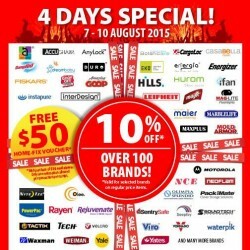 this promotion is valid till 10 August 2015.
till 19 aug HomeFix: 4 days special @ 10% off over 100 brands! 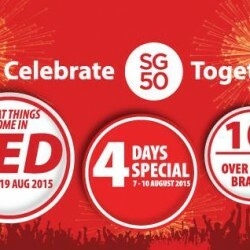 Enjoy to celebrate SG50 together great things come in red only 4 days special and get up to 10% off over 100 Brands! Gather your family and friends for greater savings up to 55% off in our Pallets and Crates Bulk Purchase starting from 18 and 19 July at the Home-Fix Building, 19 Tai Seng Avenue! Click here. So, what are you waiting for? Hurry! 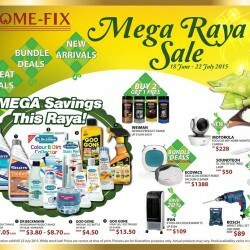 There’s no better time to spruce up your home, with the Mega Raya Sale now happening at Home-Fix Singapore from now till 22 Jul 2015! Don’t miss out on bundle deals, new arrivals and up to 50% discounts off selected brands. So, what are you waiting for? Come and hurry! Join us for our ladies’ night! There’ll be lots of great discounts, hands-on demos, food and fun! 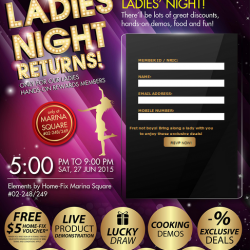 Ladies' Night 2015 For Home-fix Hands-on Rewards Members. Only at Marina Square #02-248/249. It’s the month of May and we want you to rake in the savings! It’s time to shop smart and save BIG! Have a great savings this season! for Up to 50% off @ Home-Fix. Our Extended Sale is now at Eastpoint Mall- this time with more than 200 interesting products for your home with up to 50% savings! 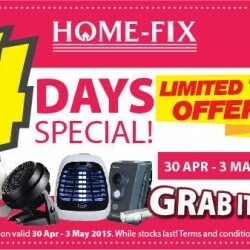 Home-Fix Singapore brings you 4 Days Specials. Promotion valid 30 April to 3 May 2015. While stocks last! Terms and conditions apply. Limited time offers! Grab it now!